Microsoft's Windows Phone may have lost the battle to Android in capturing substantial market share, but it doesn't mean that there won't be footprints of the company's services and apps on your Android device. The Redmond, Washington-based company has announced that it now has 74 Android hardware partners in 25 countries, with Acer now joining that list. These OEMs either pre-install or will pre-install Microsoft apps on their Android smartphones and tablets. Acer intends to do so from the second half of 2016. Starting with Samsung and Cyanogen last year, Microsoft in May last year had announced its partner program had hit 20 partners, which sees Android OEMs and software makers place Microsoft's Word, Excel, OneDrive, OneNote, Outlook, PowerPoint and Skype apps and services on their devices and platforms. "Our strategic agreements with these partners, in which IP alignment is an important feature, demonstrate how Microsoft is leveraging the scale of the hardware ecosystem, and working with partners in new ways to deliver rich experiences to our customers," wrote Nick Parker, Corporate Vice President, Original Equipment Manufacturer Division, Microsoft. "This is a cornerstone of our broad services strategy, to bring an array of Microsoft services to every person on every device." Speaking on the partnership with Microsoft, ST Liew, president of Acer Smart Products Business Group, said, "We're excited to partner with Microsoft to provide enhanced mobile productivity to our products. By integrating the Microsoft software suite, Acer customers will enjoy productivity on-the-go along with the familiar computing experience on their smartphones and tablets." With Android marketplace becoming increasingly competitive - thanks to the arrival and expansion of OEMs such as Xiaomi and OnePlus that sell cheap-priced Android devices - Samsung, Sony, LG and others have been forced to sell their devices at a cheap as well. This, in turn, has resulted in lower profit margin, forcing OEMs to look elsewhere. Their partnership with Microsoft could be seen as an additional revenue channel for them. Over the past few months, Microsoft has become increasingly focused towards rival platforms. 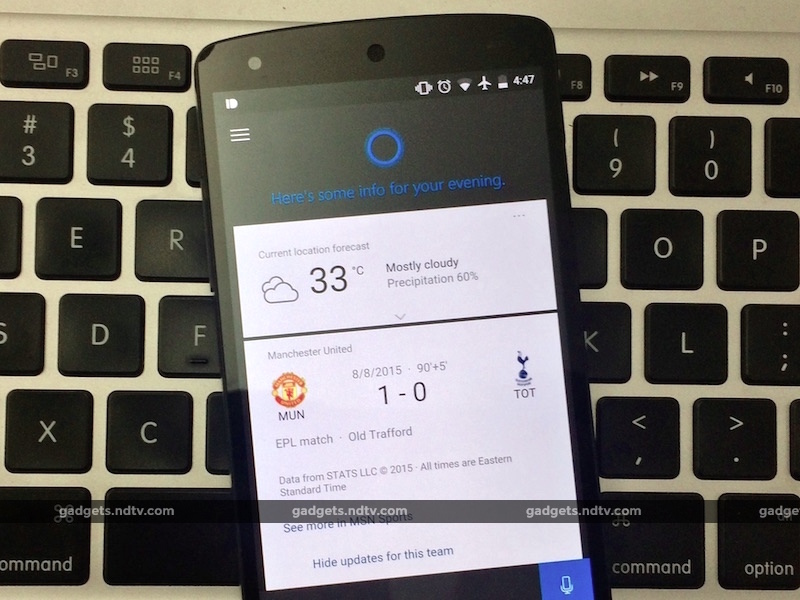 The company last year made available Cortana, its digital voice assistant, to Android and iOS. As part of Microsoft Garage projects, Microsoft has released Arrow Android launcher, Next Lock Screen, Picturesque Lock Screen, Mimicker Alarm, Bing Torque Search for Android Wear, and AppComparison among other apps. Microsoft has realised that if users aren't coming to its platform to utilise its apps and services, the company should try to reach out to them by making apps for their preferred platforms. Satya Nadella has played an instrumental role in shifting company's stand on many things. In the case of its partnership with Cyanogen Inc, which develops the Cyanogen OS commercial Android operating system and the driving force behind the CyanogenMod community builds, Microsoft's apps and services are prominently showcased in the the software maker's commercial OS.